Can Burnout be Blamed for Unprofessionalism Among Medical Students? 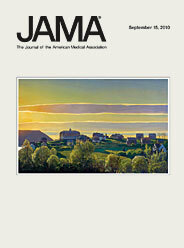 JAMA this week released the findings of a study which looked at the toll burnout is taking among medical students. The article is titled the "Relationship Between Burnout and Professional Conduct and Attitudes Among US Medical Students". Hypothesis: "...professional conduct, attitudes regarding appropriate relations with industry, and attitudes regarding physicians' responsibility to society are influenced more by medical students' degree of professional distress than personal distress." Conclusion: "Burnout was associated with self-reported unprofessional conduct and less altruistic professional values among medical students at 7 US schools." To read more click on the title to take you to JAMA's website. coupled with his weight in on Caribbean Medical Schools! but only claims to be "clinically proven slightly funnier than placebo"! Providing an excellent overview of the progress in medical education over the last ten years, Academic Medicine has just published this report as a freely accessible supplement to their September issue. "This supplement provides details about curriculum management, the support for the educational program, and the many approaches to pedagogy and assessment that medical schools are employing." "These reports provide important benchmarks and reveal a range of ideas for faculty and students to consider as they evaluate their own program. 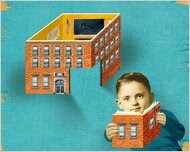 The reports provide similar opportunities for new schools that seek to build new and innovative programs." 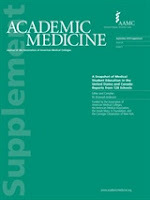 Academic Medicine. 85(9):S1-S648, September 2010.